Sweet moments at Kammanhalli is known for their flavorsome paani puris, but their mishti doi and Motichoor ladoo are undoubtedly worth trying. There's something blessed about this Bengali traditional sweet that is served here. It has a creamy white complexion and mellow sweetness that leaves an ethereal aftertaste on the tongue. No artificial colours or flavours are used in this process. It's served in the traditional kullad making it as traditional as it can get. They also serve our all time favorite “motichoor ladoo” and indeed a strong competition to anyone serving motichoor laddoos in town. Each bondi used in the laddoo gives you that luscious taste of ghee and just melts in your mouth.These ladoos are the perfect size to pop one ladoo at once in your mouth! 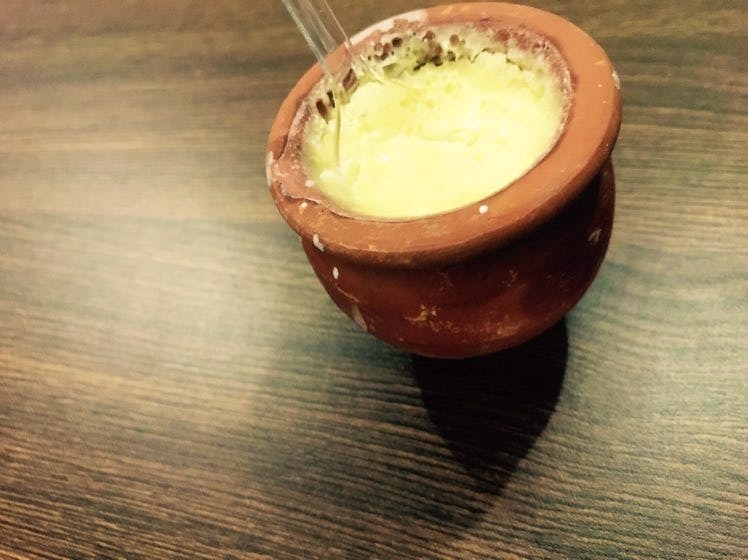 It's hard to find authentic traditional mishti doi and mootichoor laddoo away from its birthplace. And you definitely need to try them here.